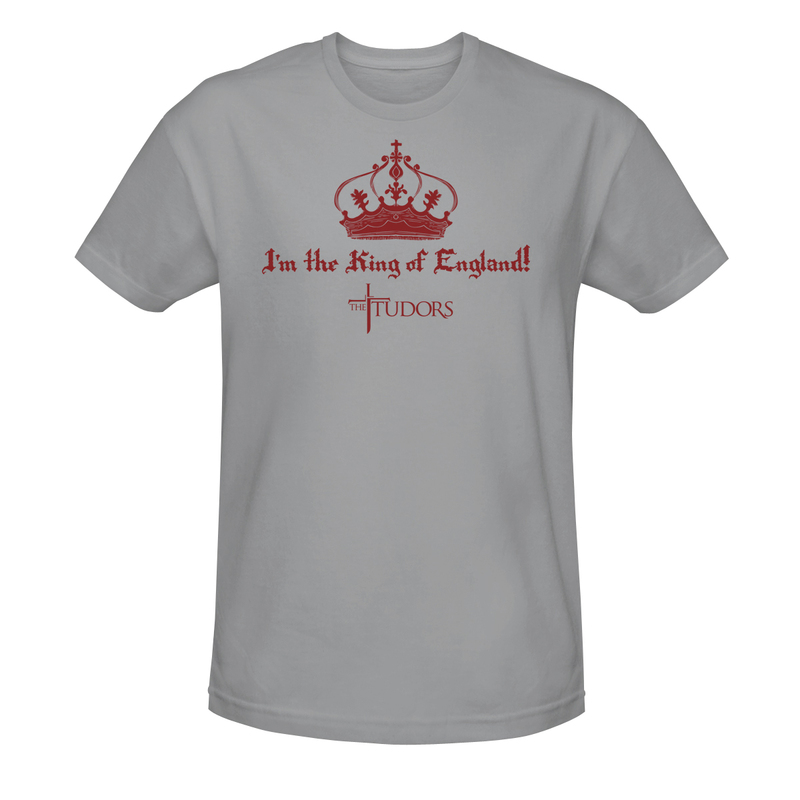 Declare your love of The Tudors with this "I'm the King of England!" Tee! 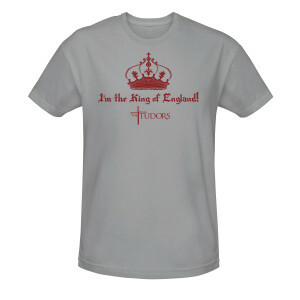 It features the phrase written in elegant script across the chest beneath an image of the Crown of England.